It’s not often that I take a day off from work. Recently it feels like I’m neglecting everything in my personal life. Laundry takes the back burner until the last minute, I don’t dust as often as I’d want to, cooking has become a necessity and hurried rather than a joy, the cats don’t get their weekly brushings, and until recently my car hadn’t been cleaned in months. While those are little examples, they’re part of a larger epidemic of me neglecting my own life. I have two glorious days off this week – today and tomorrow. And today is very special indeed. It’s our third wedding anniversary. So instead of waking up, hurrying to chug down coffee and spend thirty minutes of the total of 4 hours I usually get with my husband, I got to sleep in late, have the Man make me breakfast, open cards from loved ones, and we actually went to the movies. THE MOVIES! A LUXURY! It’s not the romantic anniversary that most people would plan, but I had such a good day that I’m having trouble coming down from the high. And it wasn’t totally devoid of romance. 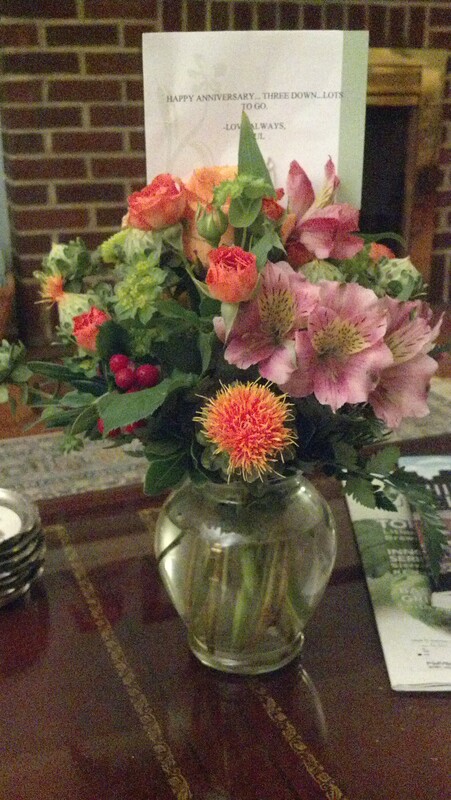 And the flowers I was given didn’t hurt either. So thank you, my dearest. Three years down, many more to go. Happy Anniversary Cat! Enjoy your days off, you deserve them. Let me know how Saturday goes! Thank you! 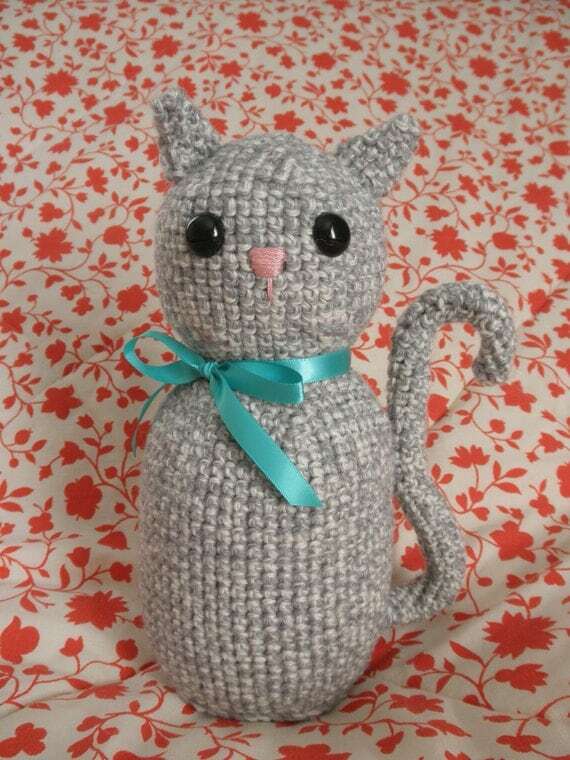 The highlight of romance is your hubby understanding that crocheting cats on your anniversary is totally normal. Happy Anniversary! The most important thing to remember is to take the time! A marriage does not just happen – it is a journey! The dustless house or the sparkling car does not fill one’s soul. So long as you remember to tell the people who surround you that you love them, that they make your life richer somehow and that you take the time to look into his eyes and really see him and acknowledge him and that you work together to achieve dreams, you will always be high. Happiness is not things….it is being loved…..AND YOU ARE!